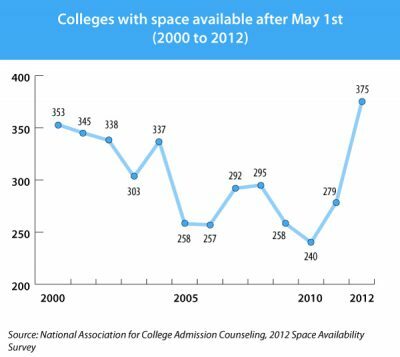 More schools have space still available than at any time in at least a decade. Already, in the academic year just ending, many universities had to offer greater discounts just to fill seats. Yet fewer admitted students enrolled, and more than 40 percent of private colleges reported enrollment declines. Even community colleges—drowning in double-digit growth the past few years—experienced enrollment dips this year.